CIW combines the magnificence of superior doors and exceptional cabinetry with old world manufacturing techniques & state of the art technology. Our cabinets are constructed to last the ages with tried and true assembly procedures –from dovetail hardwood drawers to state of the art hardware. The final result is a product that you and your family will cherish for a lifetime. CIW will work with you to design a kitchen that serves your needs. Using your ideas and desires, with our background, knowledge and computer systems, a colored 3-D image unfolds. Jointly, we explore the various wood types, styles and stains or paints that will create that personal touch. To further your options, CIW can work with you to develop those special tones, hues, highlights, glazes and antiquing that represent you. The only limits are those of your imagination. A whole new vista opens up when you decide to reface your existing kitchen. You get to choose the wood, style and color that you want. CIW manufactures the highest quality doors from wood that is selected by grain and color tone. This provides a uniformity that makes your doors look like a solid piece of wood, not a series of strips of dark and light stain colors. Utilizing your existing cabinetry, along with a centuries old technique of wood veneering, your kitchen is literally transformed right before your eyes. The wood veneer that is used to cover the face frames of your existing cabinets is also selected by grain and color tone. Exposed ends are covered with veneered panels or with solid wood panels. We can make & install all types of moldings to trim out windows, ceilings and floors. 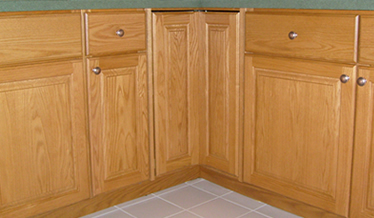 New cabinets can be added, or existing cabinets modified. 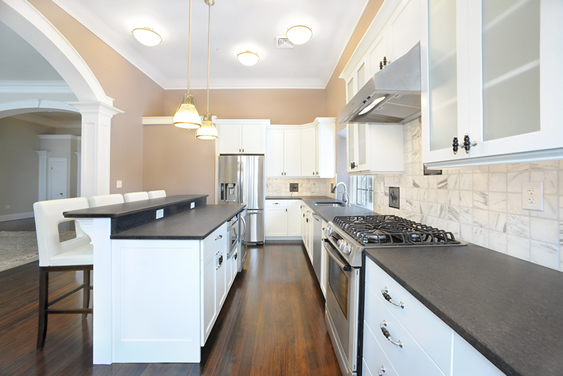 Your kitchen is transformed – at a significant savings – to a completely new looking kitchen.